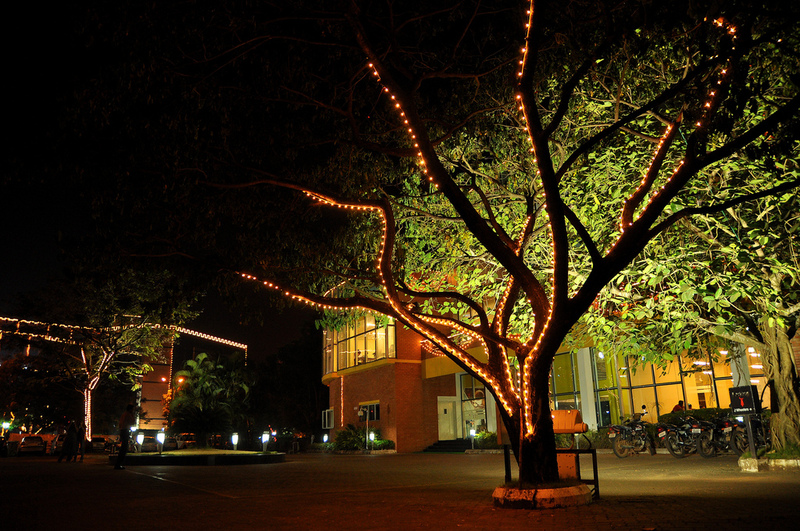 The Annual Convocation 2010 of the Manipal University was held here on Wednesday, Dec. 8th 2010 at the KMC Greens. 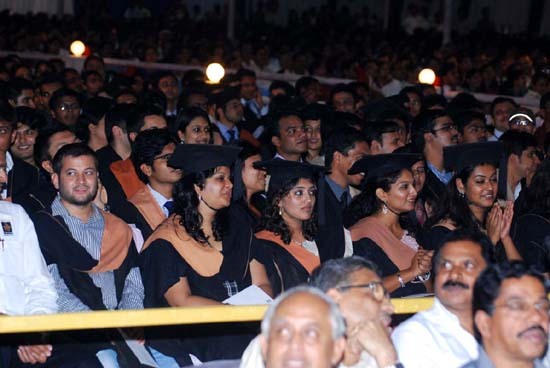 Over thousand three hundred students of Manipal University received their graduation and post graduation certificates and another 23 research scholars their PhDs. Also, seven under graduates and four post graduate students received gold medals for being the best outgoing students for 2009-10. In addition, there were even special awards constituted by the institutes. The President of India, Smt. Pratibha Devisingh Patil was the chief guest on the occasion. She was accompanied by the Governor of Karnataka H R Bhardwaj and Udupi district in charge minister of Higher Education in Karnataka, Dr V. S. Acharya . Smt. 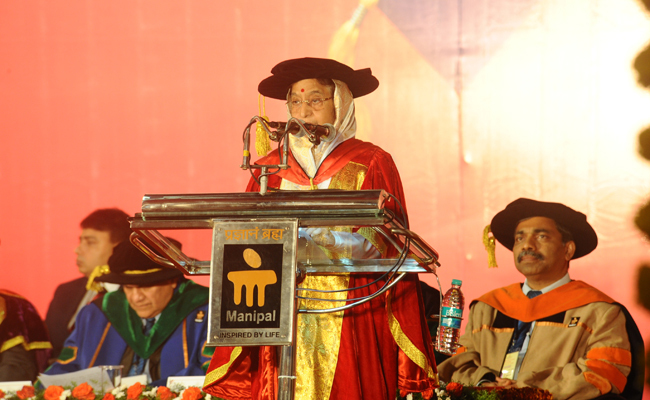 Pratibha Devisingh Patil in her Convocation address first wished the Manipal University a bright and prosperous future, stating that it was one of the leading academic and education institutions in the country. 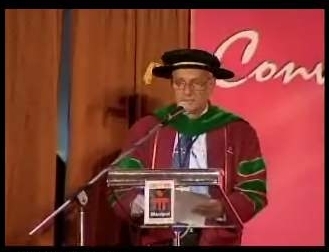 The gist of the speech of the President of India at the Manipal University Convocation 2010 can be found here. Earlier she arrived from Mangalore by a specially Chartered helicopter, which landed at a newly made helipad on the Manipal Football grounds, near the End Point. 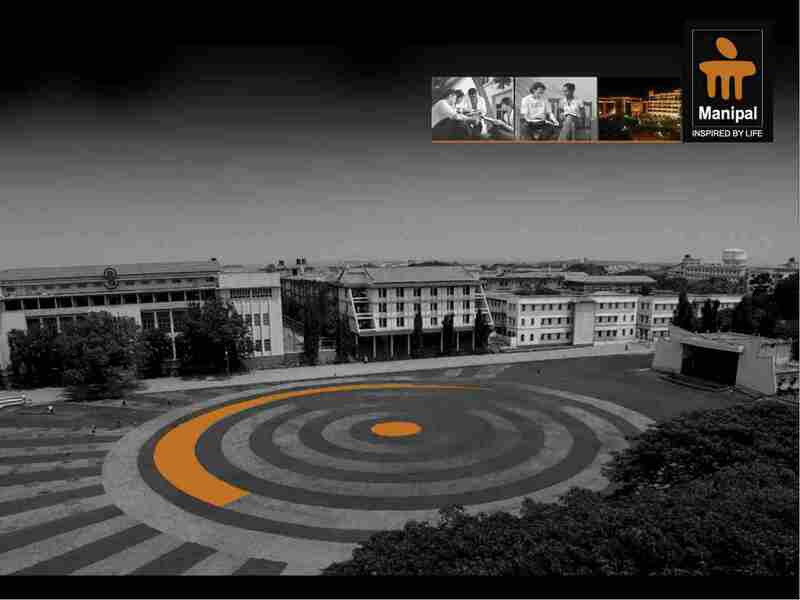 Here is a summary of the convocation in pictures captured via the internet. 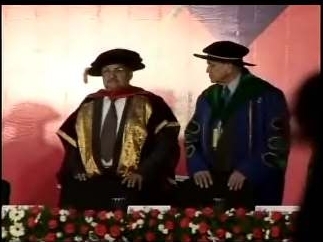 Some pictures have poor resolution as Cameras were not allowed to the convocation for security reasons. 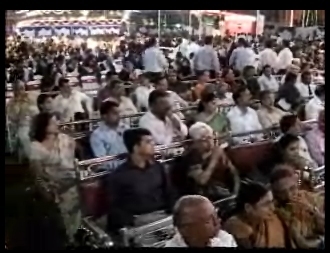 Donors to the University Mr.M.Jagannath Pai and Mrs. Jyothi Pai, along with other Dignitaries await the arrival of The President of India, Smt. 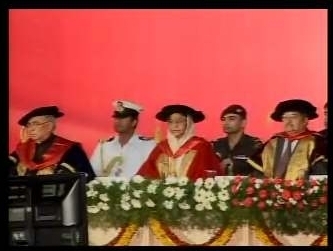 Pratibha Devisingh Patil at the 10th Convocation of the Manipal University. Mr.M.Jagannath Pai had donated Rs. 25 Lakhs for the setting up of An ophthalmological unit at the TMA Pai Rotary hospital in Karkala in 1998. Manipal Girls, Graduates eagerly await the arrival of the President of India on the evening of 8th December for the 10th Manipal University Convocation. ver thousand three hundred students of Manipal University received their graduation and post graduation certificates at the glittering ceremony. 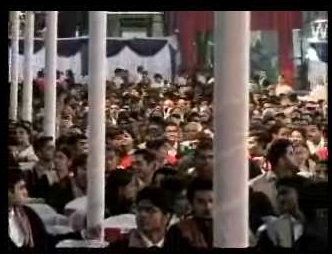 All the seats were occupied by 7 PM, the scheduled arrival time of the President of India to the Convocation held in the KMC Greens. 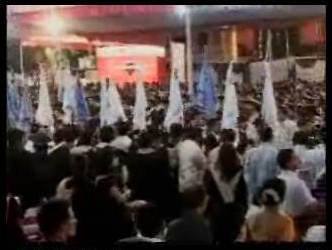 This year there was no open air convocation, as seen in previous years. The convocation ceremony started at 6:55 PM, with the ceremonial procession. Flagbearers from the various constituent colleges of the Manipal University lead the dignitaries on to the dias. 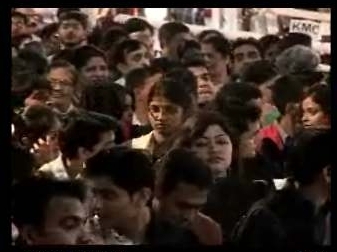 The President of India did not participate in this March past the audience and students. VS Acharya, Ramdas Pai, HS Ballal, K.Ramnarayan, H.Vinod Bhat were among the dignitaries, who participated in the ceremonial march. The President of India made the Dignitaries on the Dias wait a bit more. Here Dr. Ramdas Pai and Dr. V.S. Acharya await the arrival of Smt. 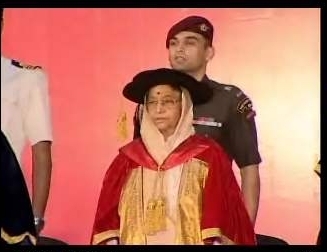 Pratibha Patil prior to the inauguration of the Convocation ceremony. 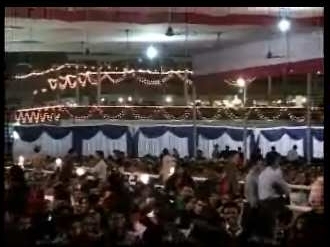 The entire campus was glittering on this joyous occasion . Education is an invaluable gift given by the parents to their children and it is the responsibility of the children to come up to the expectations of their parents, a joyous occasion for the faculty too, as for them it is a job well done to see the students through to their careers. The President of India arrived at 7:05 to a rousing reception and stood straight while the National Anthem was played. It was inspiring to see the President, despite being tired, stand proud and in concentration for the entire duration of the National anthem. 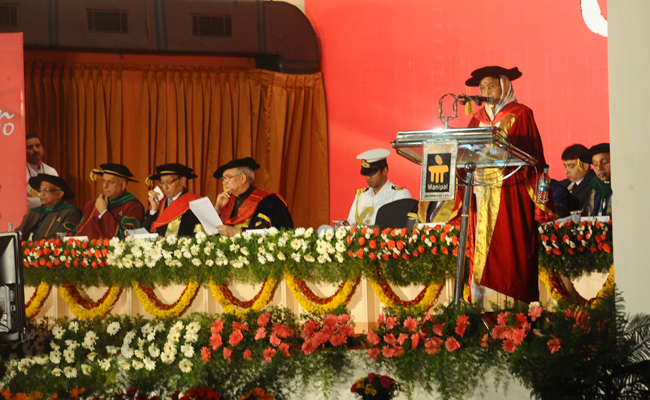 The governor of Karnataka – Hansraj Bharadwaj, President of India – Pratibha Devisingh Patil and Minister for higher Education in Karnataka – Dr. V.S.Acharya look on as Dr. Ramdas Pai (Not in Picture) declares open the 10th Manipal University Convocation open. Welcome Speech was given by Dr. H.S. 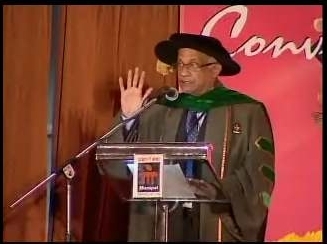 Balla, the Pro-chancellor of Manipal university. 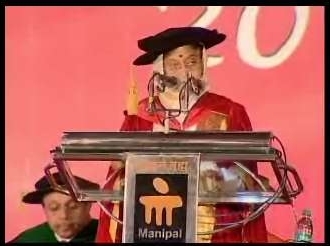 He stated that Manipal University is a glittering example of “What great heights private enterprise in Higher education can reach”. This was followed by an overview of the university through a power point presentation and a lively narration by Dr.K.Ramnarayan, Vice Chancellor of Manipal university. 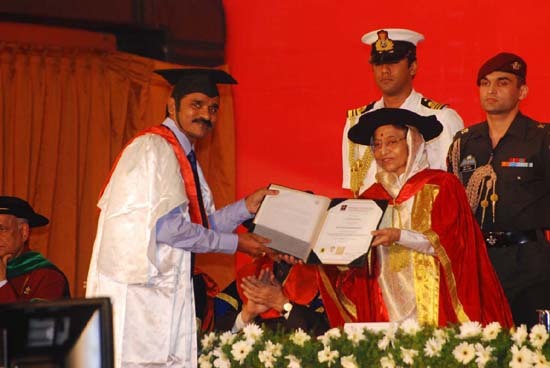 Dr. P.Sudhakar PhD Scholar receives his degree from the President of India. A total of 29 graduates of the University received their Certificates, Awards and Medals from the President at the Convocation function. Dr. P.Sudhakar did his PhD in the Field of Pharmacogenetics in Diabetes Mellitus and has a number of publications in reputed National and International journals. 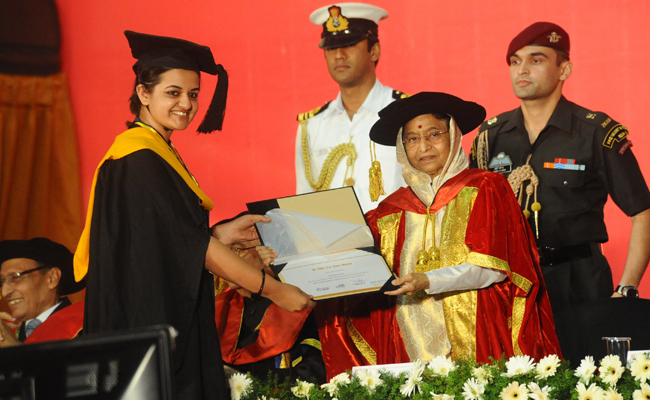 A beautiful undergraduate student accepts her certificate at the Convocation function of Manipal University 2010 from the President of India. Only a few select students received their certificates from the president. the rest of the students received their certificates from heads of the Constituent colleges of Manipal University. She gave away the PhD awards to research scholars and gold medals to students. Best outgoing BE graduate (MIT) Rahul Sharan. Best outgoing B Pharm Graduate (MCOPS) Sudha Korwar. Best outgoing BDS graduate (MCODS,Manipal) Low Li Fong. 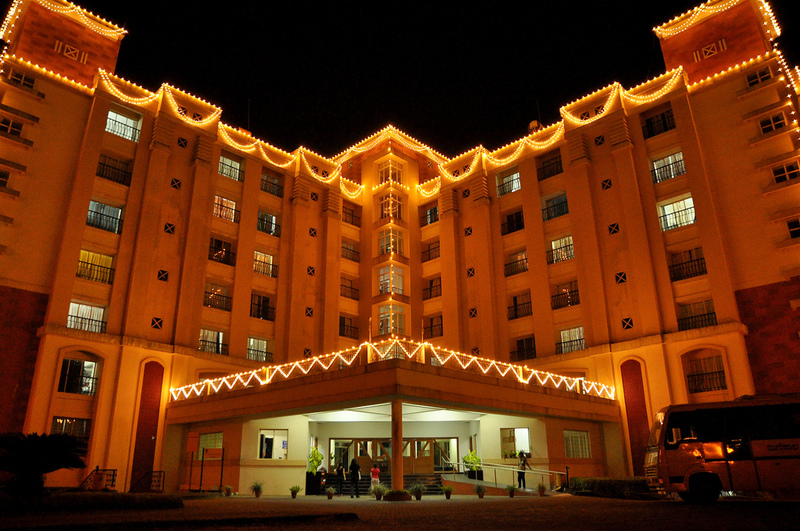 Highest aggregate marks in Bachelor of Hotel Management (WGSHA) Sarmishta Revanoor. Best outgoing BSc nursing graduate (MCON) Eby Basil. Best outgoing BA journalism and Communications Studies graduate (MIC) Prashit Sthapit. Best outgoing graduate student of Manipal College of Allied Health Sciences (MCOPS) Mudassir Mustafa Alloo. Best outgoing BSc Biotechnology graduate (MLSC) Mihir Kekre. Best outgoing BBA graduate (Manipal Institute of Jewellery Management) Spandana KN. Best outgoing M Pharm postgraduate (MCOPS) Patel Hirenkumar Natwarlal. Best outgoing MS communication postgraduate (Manipal Institute of Communication) Nisrin S Aziz. Best outgoing MS information Science postgraduate (Manipal Institute of Information Science) Keerti MS.
Best outgoing MBA postgraduate (MIM). Karishma Mehta. 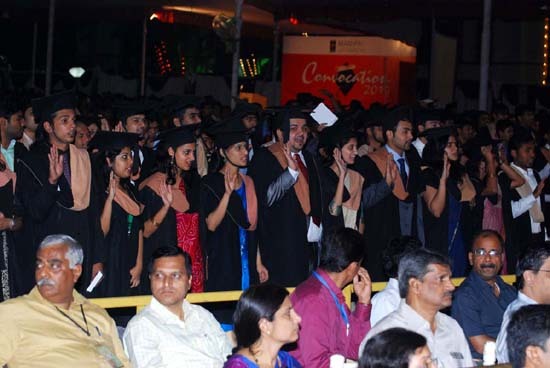 Graduates taking the Oath of Ethics and Conduct from the Vice Chancellor of Manipal University. After the oath Smt.Pratibha Patil gave a short speech on the present status of education in India and also the economic outlook of our country. Dr.Ramdas Pai Chancellor Manipal University and Dr. G.K.Prabhu, Registrar Manipal university look on as The President of India speaks at the Manipal University Convocation on 8th December 2010. 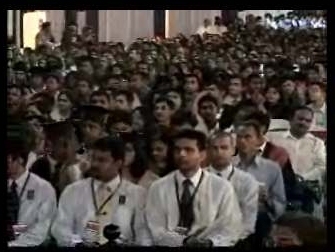 All the students were rapt with attention during the speech given by the President.